What about those 17%? What do you think? Should they be on the public tab forever regardless of their status in life? In order to attain accountability, we must keep track of things. President Bush and President Obama both agree that a database of citizen health records needs to be compiled and it is, indeed, a very good idea. In such as system, there would be records for each citizen in the United States. In this way, it would be much easier to get a full picture of a patient in any medical provider’s setting. Clearly this helps in all aspects of healthcare. With all the rhetoric about reform, there is little to no talk about accountability. This book not only broaches the subject, it shows that it can be done and how it can be done in a lightly technical but mostly amusing style. 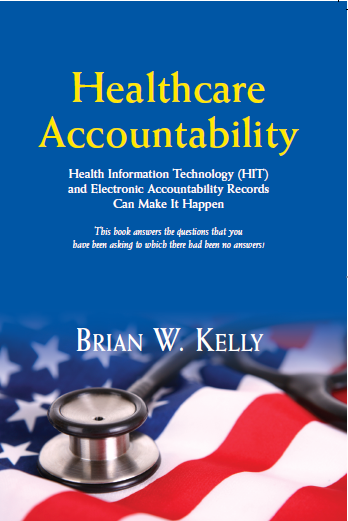 Americans need a logical and clear blueprint that defines the terms for organization of online records and discusses the objectionable entities (all working for the government) that are positioned to “own” your health data. Let’s keep them forever locked out. Sincerely. Melissa L. Sabol, Editor in Chief, Lets Go Publish!